Horse shows are a great way to showcase your skills and be rewarded for the progress you’ve made in your lessons. The thrill of competing is something you can’t describe. Shows are also a great way to form an even closer bond with your horse. We believe that our riders who participate in both local and national shows gain more than horseback riding knowledge. They learn to set goals and learn how to work hard to achieve them. 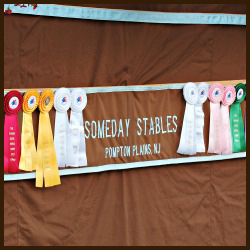 At Someday Stables, there’s a place for every level of rider in our supportive but competitive group of kids. Attending over 30 horse shows per year, we compete at both the local and national level. 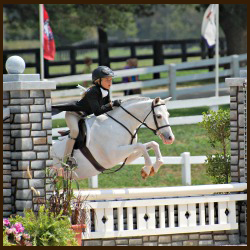 We excel at bringing beginner riders from their very first lesson all the way to national championship titles. Horseback riding in NJ: Lessons are better than a trail ride. © 2019 Someday Stables. All rights reserved.